She was the beloved wife of the late Harry A. Prosperi. Georgette worked as a nurse’s aide and later as a financial analyst at BJ’s Wholesale Club. She enjoyed knitting, baking cookies, crossword puzzles, and was a very active member of St. Anne Church of Southborough for more than sixty years. Georgette participated numerous times in the annual Walk for Hunger. 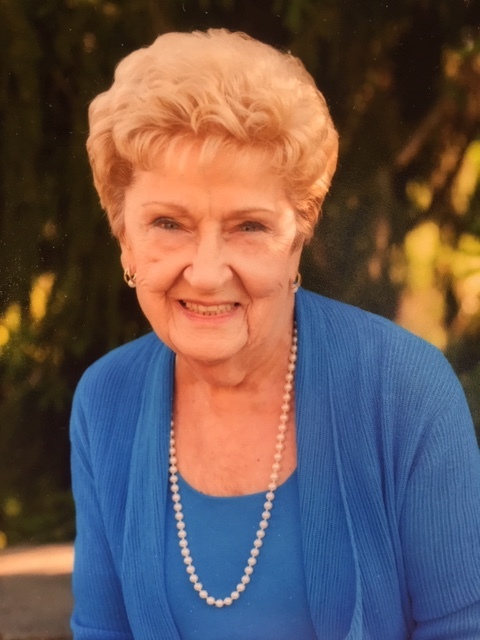 Her greatest joy was spending time with her children and grandchildren. She leaves her children, Louise Davis and her husband, Jeffrey of Riverview, Florida; Robert Prosperi and his wife, Mindy of Highland Mills, New York; Suzanne Brandt of Bolton; Louis Prosperi and his wife, Sheri of Wakefield; her grandchildren, Michelle Hayes and her husband, Paul; Jonathan and Stephen Prosperi; Tyler and Shanna Brandt; Nathan and Samantha Prosperi; her great grandson, Zachary Hayes; her brother, Robert Boulanger and his wife Lise of Sherbrooke, Quebec; and many nieces and nephews. She is predeceased by her siblings, Jean-Paul Boulanger and Paulette Boulanger. Relatives and friends are invited to greet Georgette’s family at Morris Funeral Home, 40 Main Street, Southborough on Monday, April 22 from 4pm-7pm. A funeral Mass will be held on Tuesday, April 23 at 11am at St Anne Church, 20 Boston Road, Southborough.